During "Cookie Week" on The Great American Baking Show, Jeremiah Bills uses his homemade honey to give his Tree and Wreaths recipe some soul. 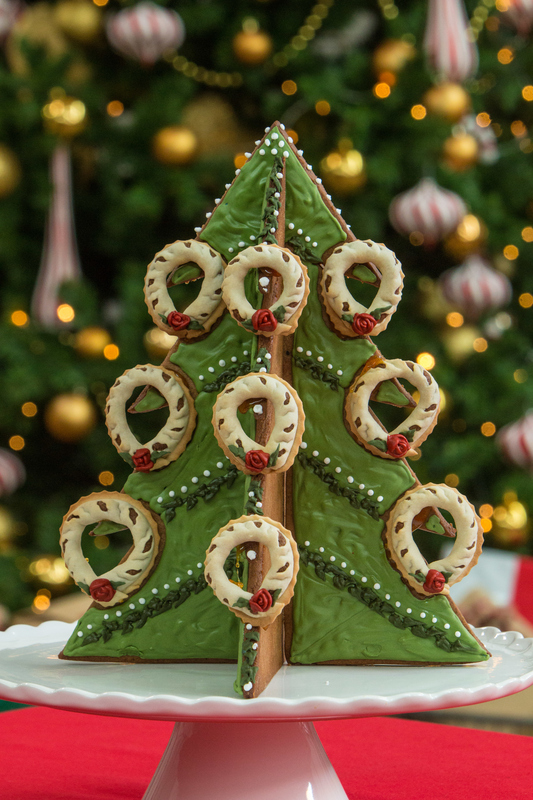 He uses honey gingerbread cookies to create a tree trimmed with classic Portuguese spice filled wreath cookies. Watch the full "Cookie Week" episode from season two episode 2 of The Great American Baking Show to see if Jeremiah's soulful, 3-D showstopper bake is enough to keep him in the tent.